If you are a huge tea obsessive, you probably know that there are many different types of green tea. They all have specific characteristics, benefits, smells, taste, and even price. While Sencha and Gyokuro are usually expensive, there are several affordable variations available for everyone. If you want to learn more about the various types of green tea, we prepared a detailed guide through the most common ones. Sencha is without a doubt the most commonly drunk among the different types of green tea. Made with: The Sencha leaves are steamed, then dried. Once they are dry, the leaves are rolled and blended. Make the tea with water that has just started to simmer at around 70° C. Brew it for around 1 minute. The perfect ratio is 2 gr. tea for 4 oz water. Scent/Taste: This tea has a lightly sweet and grassy flavor to it with a soft flowery scent. Health Benefits: The health benefits that this tea can offer include protecting the heart, boosts the metabolism, lowers the risk of Diabetes type 2, prevents cancer, reduces the cholesterol levels, improved cognitive functions, higher energy levels and more. Is There Any Side Effect: The possible side effects include nausea, anxiety, headache, dizziness, sleep problems, diarrhea, vomiting, confusion, and more. Matcha is one of the most popular green tea types with a stunning number of health benefits. Made with: Matcha comes in the form of powder. Get 2oz of hot water and mix it with either 1 or two teaspoons of matcha powder, depends on how strong you prefer it. You should heat the water between 70 °C and 85 °C. Scent/Taste: The matcha green tea features a grassy taste and scent. It is sweeter and creamier compared to the regular type. Health Benefits: This tea protects the liver, can help with weight loss, lowers the blood pressure, reduces cholesterol levels, better skin, focus, protects the heart and more. Is There Any Side Effect: The side effects list includes anxiety, headache, dizziness, heartburn, insomnia, digestive disorders and more. 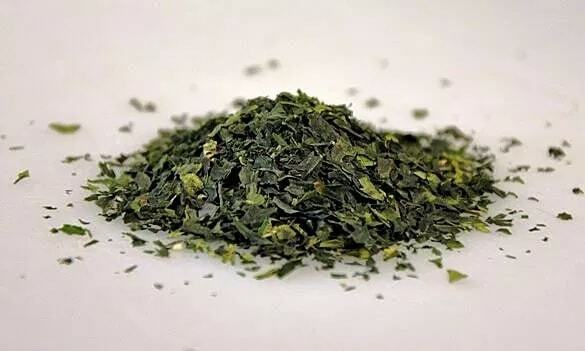 Gyokuro is another one of the frequent types of green tea, which is also very similar to sencha. Made with: This tea is made with high-quality water at the temperature between 50°C – 60°C for the ultimate experience. Use 2-3g. tea for a cup of 30ml with water. Let it brew for 2 to 3 minutes at most. Don’t add sugar or milk. Scent/Taste: Gyokuro has a slight seaweed smell also known as “sea breeze” with a grassy, but sweet umami taste. Health Benefits: According to scientists, Gyokuro can help with the prevention of cancer, losing weight, detox, relieve from anxiety, better cognitive functions, boost metabolism, soothe inflammation, better oral health and more. Is There Any Side Effect: If taken in larger doses Gyokuro tea can lead to dizziness, insomnia, digestive problems, anxiety, palpitations, and more. 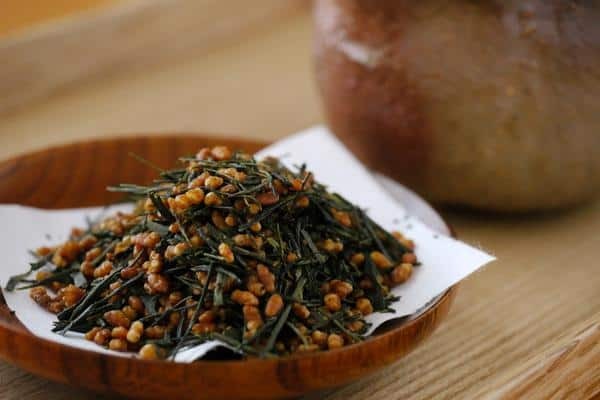 Genmaicha, also known as brown rice tea, is a mixture of roasted brown rice and green tea. Made with: The temperature of the water for Genmaicha should be between 80°C and 85°C. Always use 3 to 4 gr. of tea for 2oz of water. The brewing time is short and around 30 seconds. Scent/Taste: It smells like roasted brown rice with a nutty aroma. 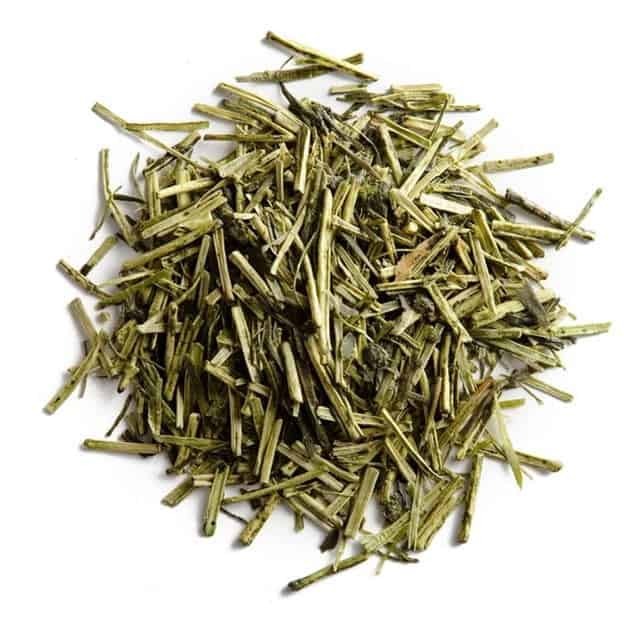 It has a refreshing, light taste that is a mixture of green tea and roasted rice. Health Benefits: Since this is not 100% green tea, the health benefits are not that extensive. Among the ones that it will provide are lower blood pressure, protection from cancer, reduced inflammation, improved heart health and so on. Is There Any Side Effect: Side effects include upset stomach, nausea, headache, heartburn and more. 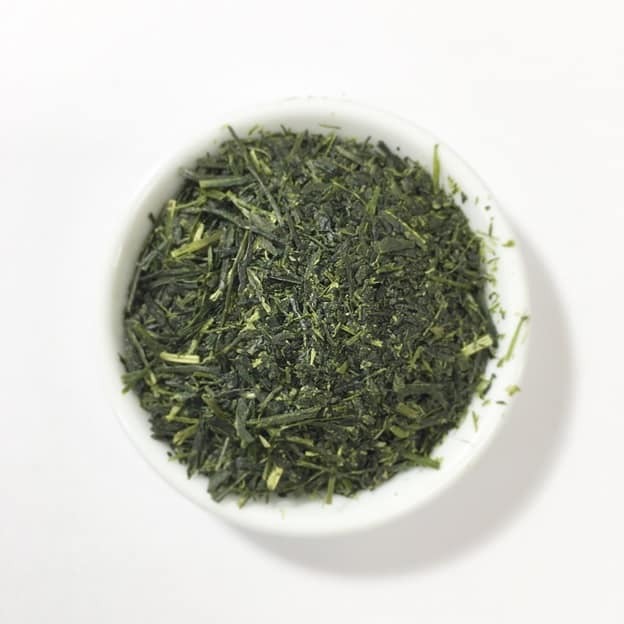 Kabusecha is a green tea type that is somewhere between Gyokuro and Sencha, thanks to the umami taste that similar to Gyokuro’s mixed with the soothing smell from sencha. Made with: To prepare the Kabusecha green tea, the water has to reach a temperature between 70°C and 80°C. Use 3gr. of the tea for 20ml high-quality water. Let it sleep for around 2 minutes. Scent/Taste: Kabusecha has a mild umami taste, with a very soothing smell. It is less sweet compared to Gyokuro. Is There Any Side Effect: The main side effects are insomnia, anxiety, digestive problems, dizziness, and more. 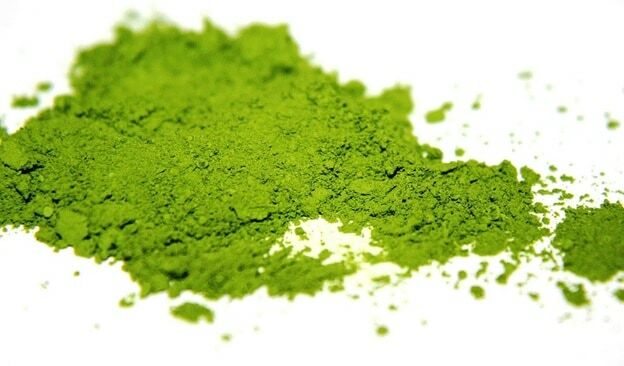 Tencha is a part of the green tea types that are used to make matcha and has a similar taste to Gyokuro. Made with: Finding Tencha tea is especially difficult since it is usually used to make matcha powder. If you actually find it, the preparation process is the same as for Gyokuro green tea. 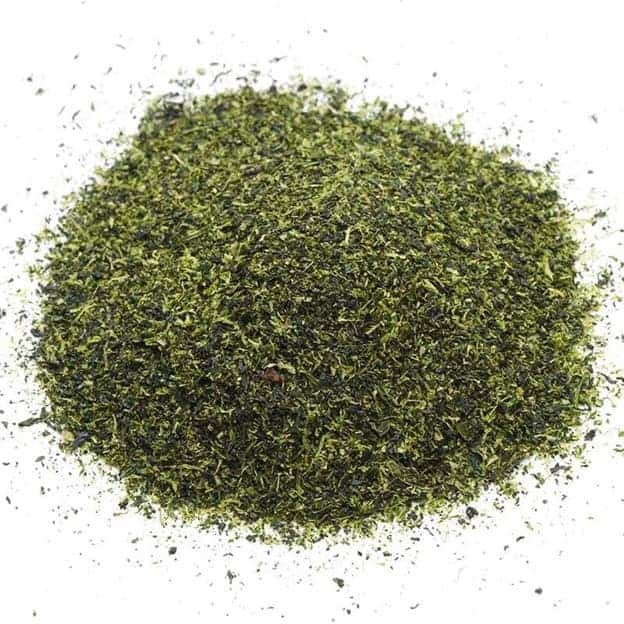 Scent/Taste: Tencha green tea has a soft sweetness to it, very similar to matcha. The smell reminds of roasted edamame and other sweet green vegetables, without the extensive seaweed hint. Health Benefits: Tencha has numerous health benefits including improving heart health, lower risk of Diabetes type 2, weight loss, detox, lower blood pressure and more. Is There Any Side Effect: A part of the side effects that can appear due to extensive consummation are anxiety, insomnia, diarrhea, headaches, palpitations and more. 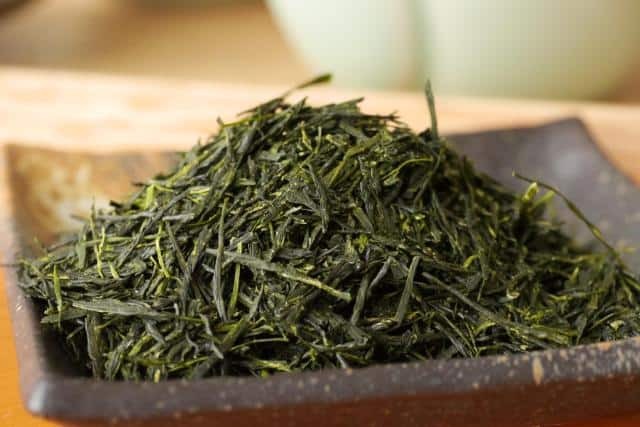 Fukamushicha is a type of green tea that is initially steamed two to three times longer compared to all the other ones. Made with: The water should boil on 70°C to 80°C for the Fukamushicha green tea. You will need 3 gr. of tea for 2 to 3 oz of water. The brewing time is 40 seconds. Scent/Taste: It has a soft astringent taste, less bitter compared to Sencha. There are tiny hints of walnut and grass. Fukamushicha has a pleasant flowery scent. Health Benefits: The major health benefits of this green tea include reducing body fat, lower cholesterol levels, protecting the heart, better oral health, stronger immune system and more. Is There Any Side Effect: The side effects from too much Fukamushicha are the same as with any other of the green tea types. They include nervousness, lack of sleep, digestive problems, vomiting and more. 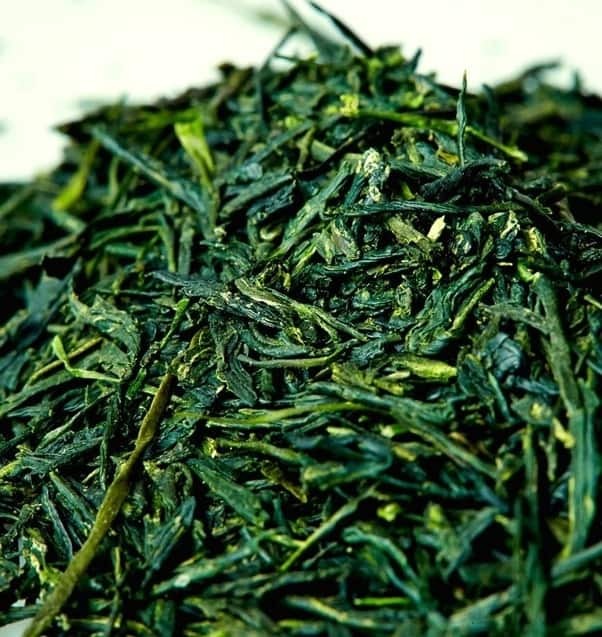 Konacha is made from the buds, small tea leaves and specks that are left in the production of Gyokuro or Sencha. Made with: First, make sure that you heat the water up to 75°C. You will need 4oz of boiling water for 4 g. of Konacha. Let it sleep for 30 seconds. 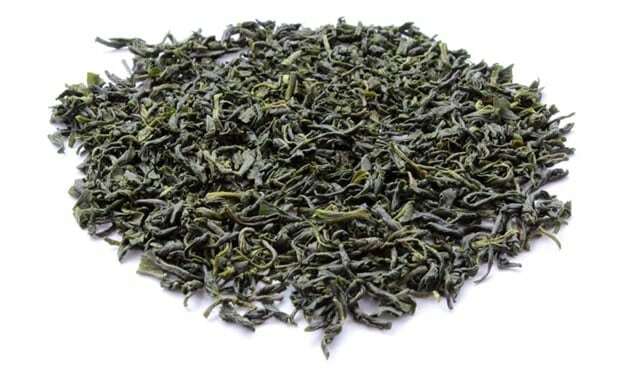 Scent/Taste: This is one of the green tea types that feature a strong bitter and astringent taste. It has a grassy smell. Health Benefits: Konacha is rich in antioxidants, which means it can fight inflammation, help with detox, lower the cholesterol levels, improve skin health, weight loss and more. Is There Any Side Effect: If you overdo it with consumption you might experience palpitations, headache, nausea, sleeping problems, anxiety and more. 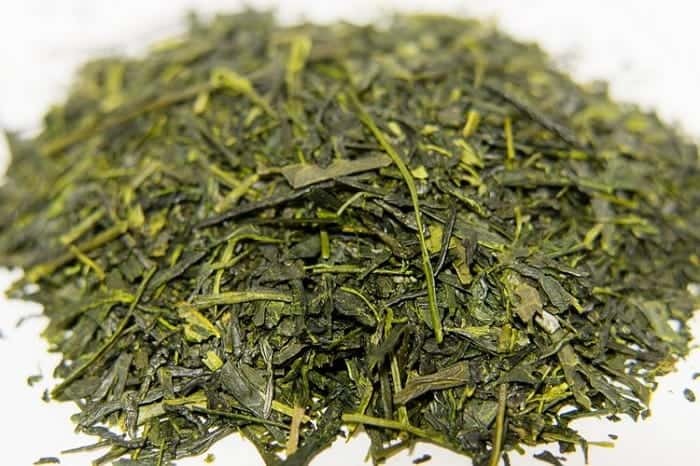 Kukicha green tea is made from the green tea leaf stems that are left in the production of matcha or sencha. Made with: Heat the water at 70°C, up to 80°C. Use 4gr. tea for 2 oz of high-quality water. The brewing time is 1 minute. Scent/Taste: Kukicha is characterized by a sweet, pleasant taste that most people find great. There is a slightly nutty and creamy hint to it, with a soothing scent. Health Benefits: This tea has high calcium levels, which can be great for bone health. It is packed with a number of vitamins and minerals. Other benefits include improved heart health, burns fat, improved digestion reduced cancer risk and so on. Is There Any Side Effect: The side effects list is short and includes abdominal problems, bruise marks, alter the iron absorption. Kamairicha is a unique type of green tea that is pan-fried instead of steamed, like all of the other sorts. Made with: Kamairicha is made with high-quality water at a high temperature of 90°C. Use 2oz of water with one teaspoon of tea. Let it brew for one minute before you drink it. Scent/Taste: The main characteristic of Kamairicha is its alluring aromatic smell. It gives a light, roasted-like flavor with finishing almond hints. Health Benefits: Just like kukicha, Kamairicha is packed with antioxidants. It contains a whole range of vitamins and minerals as well. You will soon notice that it helped in losing weight, fighting inflammation, better digestion and more. Is There Any Side Effect: Possible side effects include anxiety, headaches, dizziness, confusion, vomiting and more.